Growing up, my dad used to take me to the mee rebus stall at the alley behind Yut Kee and I would watch in envy as Yut Kee staff churn out plates after plates of Hainanese chicken chop and roti babi to hungry diners. I only got to eat at Yut Kee when rif was old enough to drive us there almost 10 years ago. 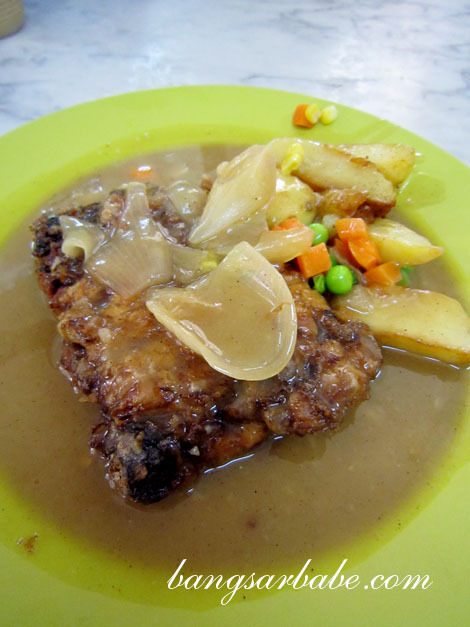 I still remember my first taste of the Hainanese chicken chop – deep-fried deboned chicken leg with mixed vegetables on a pool of brown, onion gravy. That was the start of my regular visits to Yut Kee (and one of the reasons why I wanted Yut Kee as the background of my blog header). I didn’t care if I had to bump elbows with strangers on the same table or if I had to wait for a table. I wanted my chicken chop fix. 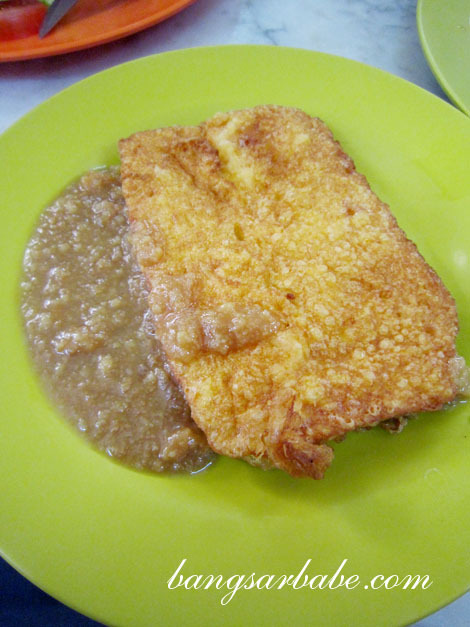 I soon discovered the belacan fried rice, Aunt Margaret’s roast pork roll, French toast, Hailam mee and fried tung fun, on top of a few other old favourites – pork chop and roti babi. Over the years, the standard has (sadly) dropped due to large crowds and high demand. I still go back for my occasional chicken chop fix, because it is still one of the decent ones around. The chicken chop (RM8.50) was smaller than I remember it to be, or maybe it’s because I’ve grown bigger and greedier. I also thought the skin of the chicken wasn’t as crisp, but that’s a small matter as it was meant to be eaten with onion sauce anyway. A plate isn’t enough to satiate my growling stomach, so I ordered a French toast (RM3.50) too. The latter was slightly greasy but I got used to it and didn’t mind it with generous lashings of fresh kaya (coconut jam) on top. What I thought had dropped tremendously in standard was the Roti Babi (RM8). Portion was scant and the shredded pork filling was no longer as tasty. A pale version of what it was 10 years ago. The fried tung fun (RM6.50) however, was still good. Redolent of wok fire with a glossy sheen from the used of pork lard, the glass noodles had a toothsome texture and was evenly seasoned. Lip-smacking, with the side of sambal belacan! But butter tongues beware; a bit of this sambal can be hellish for the tongue, tummy and bowel. Humble appearance, but packs a punch! We shared a small table with three girls – two ordered just one plate of roast pork (2 thin slices) to share while the other had a noodle dish. The two girls mentioned to their friend that they were watching their calories and fat intake, and nibbled sparingly at their roast pork crackling. Any thinner those two beanpoles get, they could play, “Gone With The Wind Part 2”. Why on earth would anyone on diet go to Yut Kee?? Have a celery stick or something lah. By the way, the Swiss Roll (RM9 per box) was disappointingly dry. Read about my current favourite place for Swiss Roll here. Verdict: Standard has dropped, but the food is still decent. Try the fried tung fun and belecan fried rice. 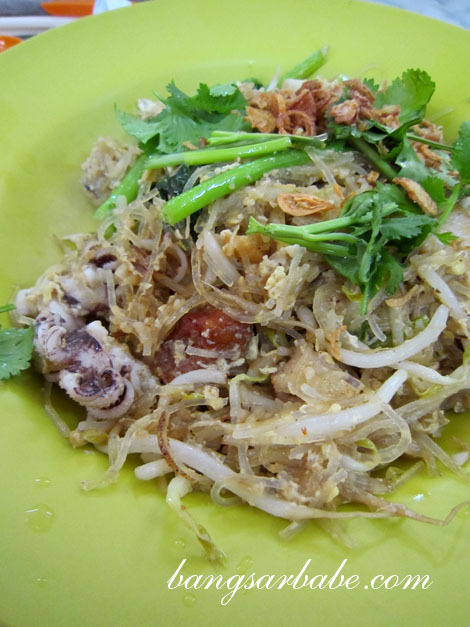 Sambal belacan goes well with many types of fried noodles hor…. Yeah, it’s a shame standard has dropped. I think maybe if you go at non-peak hours, the food might be better. I have not tried their swiss roll before..
i agree that the standards have drop. i’ve tried it twice. when i was 10 and when i was 18. 🙁 very different. Will they be moving ar? I haven’t been back there in years due to the crowds. agree with you. their standards have dropped. 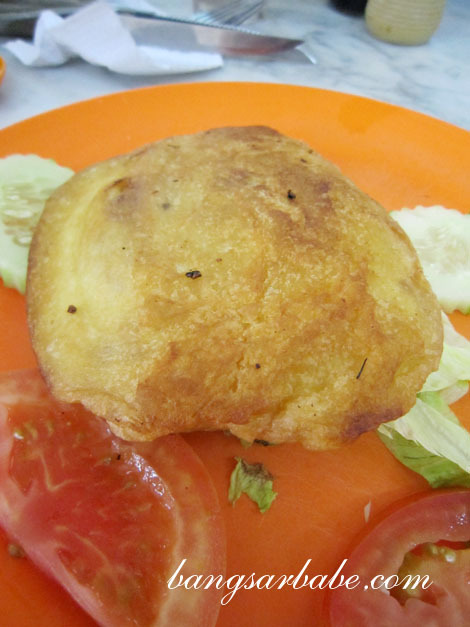 i thought it was just me who thinks that the food portion has gone smaller. i wonder if the cooks are still local or have been taken over by foreign helpers. This time i really gotta comment. Went there 3 times during lunch. Chicken chop came room temp! Sauce room temp! Small, for the price/wait i can get the same in many places. Pork chop, even smaller piece, dry….nothing special. Hokkien mee, mass prep’d. Small portion. Normal. The cakes are good though. Seriously i cant understand these “Hainan” places. Its like ppl kena voodoo and keep going back yet the quality of food is nothing special and price is high.